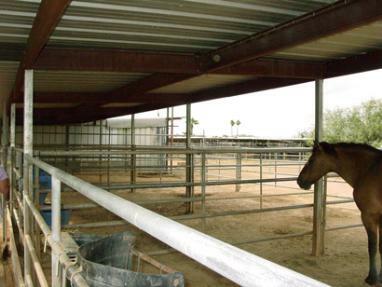 ***PRE-APPROVED HAFA Short Sale*** ACT QUICKLY.... 1.41 Acre Horse property, 12 stalls, tack room, water, electricity, current arena fence at back will be gone. Plenty of room at north end of property for large arena, home needs some updating/refurbishing. Fenced pool, fruit trees, loads of storage, multiple sheds, garages and out buildings. Guest House with separate entrance, complete with living room, full kitchen, fireplace.